Last month, One Summit descended on New York City for its final Climb for Courage of 2018. While the program was identical in structure to the two climbs held prior in San Diego and Boston, the weekend – and the impact it made on the 18 Navy SEALs and 27 children who were in attendance – was unique. This was best captured after the event concluded. “You’re changing these kids’ lives,” a volunteer said. “Well they’re changing ours,” one of the mentors responded. This is precisely the impact Adam La Reau envisioned when he founded One Summit in 2014. He built it with both warriors in mind. Yet, more so than with past programs, this was apparent throughout the weekend of Climb for Courage, NYC 2018. 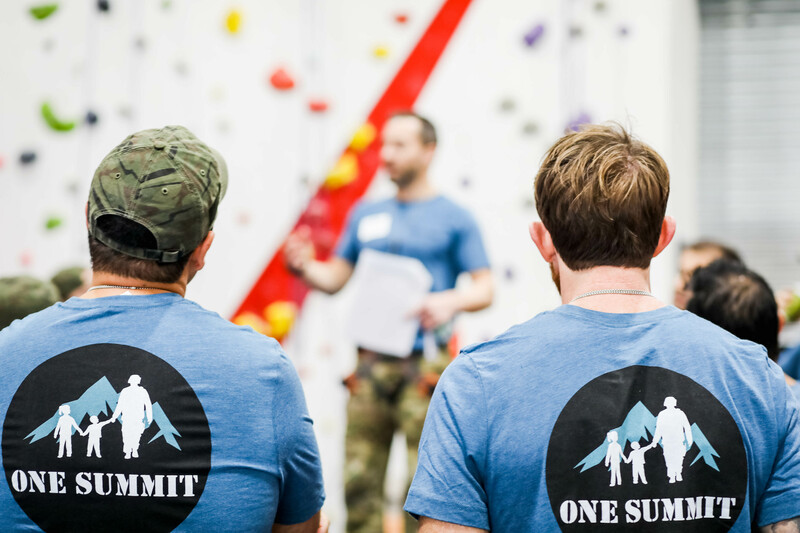 Regardless of whether you are a patient, sibling, Navy SEAL – or a member of one of the families who supports them – One Summit is for you. And not just for the day, but for as long as you want to be involved. The theme was first introduced by Rudi Dubois at the Mentor Training Dinner on Friday, November 16th, where she shared her family’s One Summit experience and story of resilience with the Mentors, Team Leaders, Child Life Specialists and other supporters who were in the room. 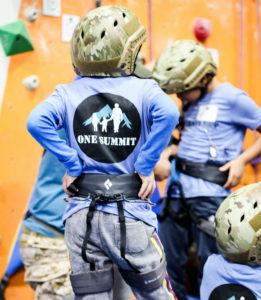 Her children, Charlie and Lauren participated in the first NYC climb One Summit hosted in 2016. She recounted how three hours of rock climbing alongside their mentor altered the perspective her children. One anecdote in particular captured the room. In the days following Climb for Courage, Charlie was scheduled for treatment at Memorial Sloan Kettering. Rudi so vividly remembers him saying, “Let’s just do it, Mom.” She knew her son was strong. But, in that moment, he showed a level of conviction and courage that Rudi hadn’t seen before. Or at least not in a long time. It was clear that something had happened at Climb for Courage. Perhaps it was the lessons instilled by his mentor. Or maybe it was proving to himself that, despite cancer, he could conquer the wall. Whatever it was, it worked. For both of her children. This hasn’t faded with time. 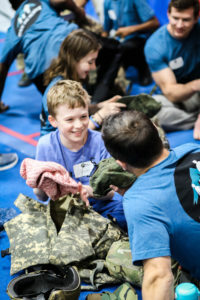 Similar stories of transformation were shared by the parents who were on-site at Climb Higher on Sunday, November 18th, where over 25 percent of the little warriors who participated in both 2016 and 2017 came back to climb again, some alongside their original mentor from Climb for Courage. 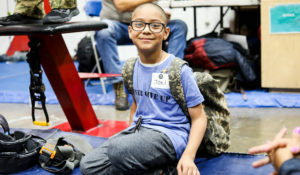 Hearing these stories - and seeing firsthand the impact Climb for Courage, NYC 2018 had on the little warriors who participated - fueled other shifts in perspective. In a different group of warriors. “We’ll they’re changing ours.” And perhaps this isn’t so surprising after all. Click here to access all the photos from Climb for Courage, NYC 2018. Click here to access all the photos from Climb Higher, NYC 2018. Interested in participating in an upcoming Climb for Courage? Apply on our website or email dianne@onesummit.org be considered for our upcoming program in San Diego.